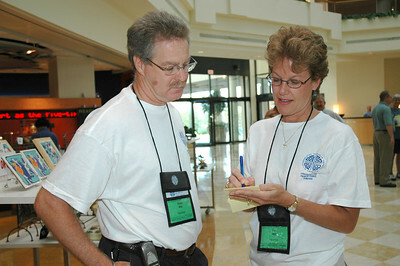 Rusty and P.J. 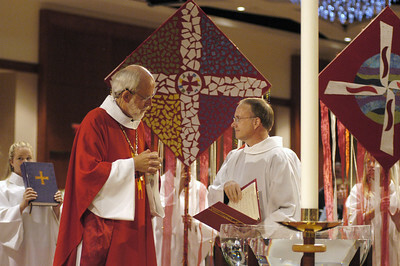 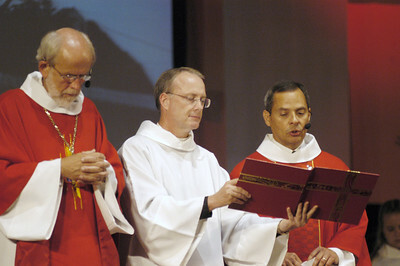 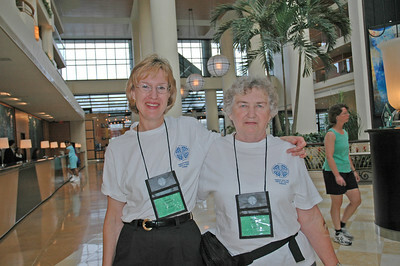 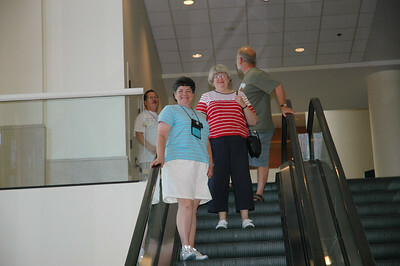 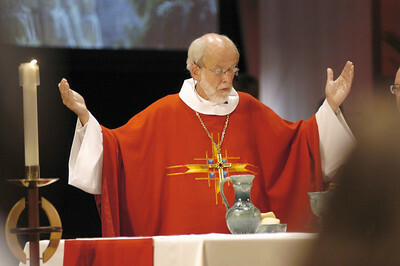 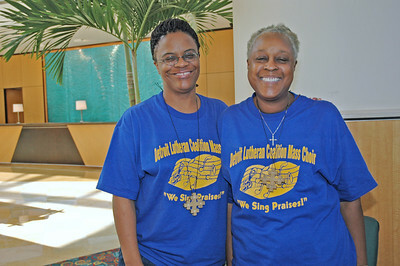 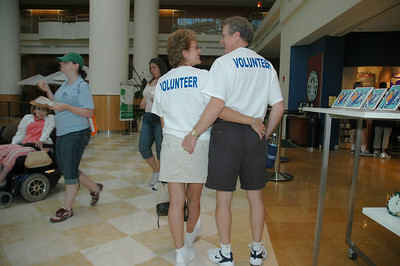 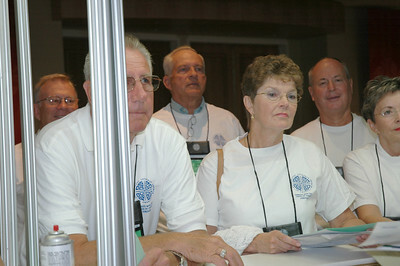 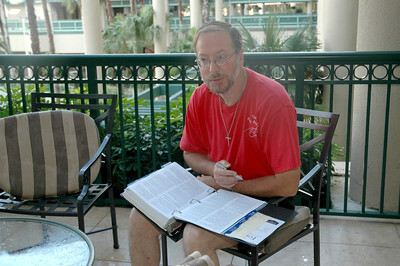 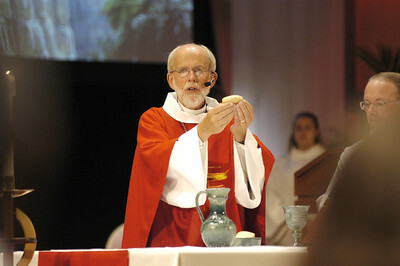 May are volunteers from the Florida-Bahamas Synod. 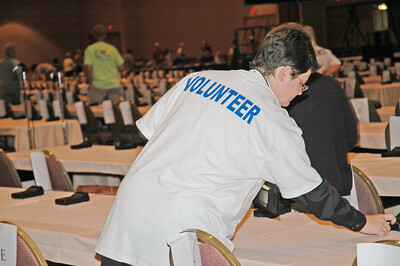 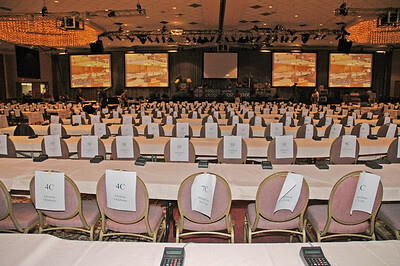 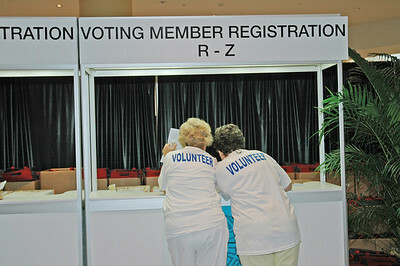 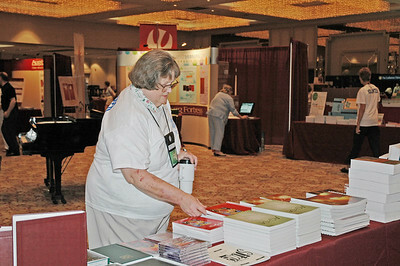 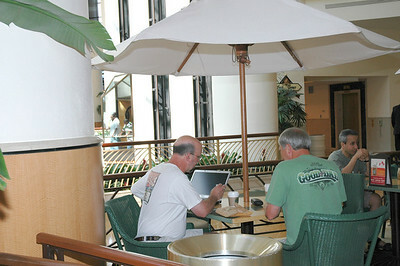 A volunteer sets the table in the plenary hall. 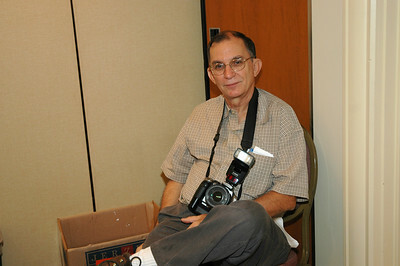 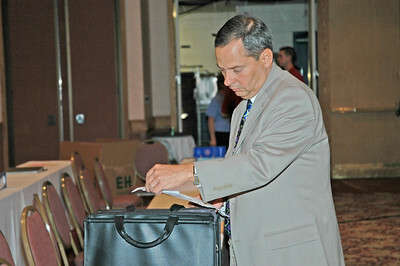 Duane Baur, voting member, Southwestern Minnesota, prepares for the first plenary session. 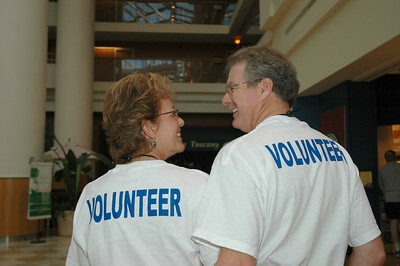 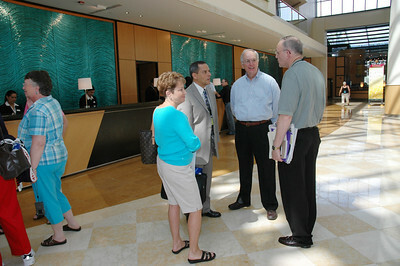 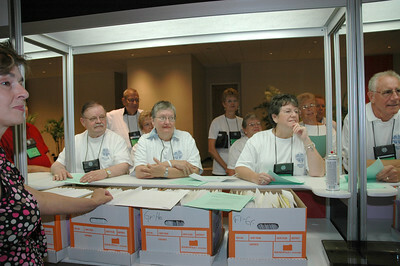 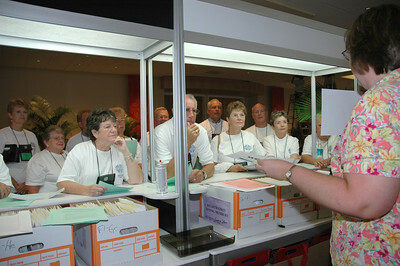 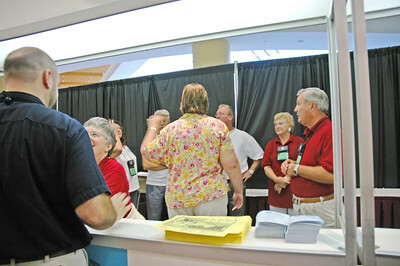 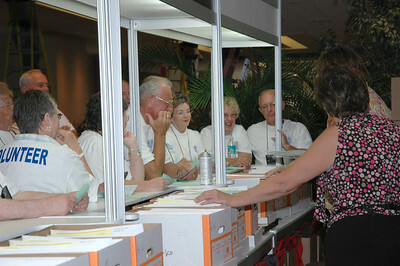 Orientation for Churchwide Assembly registration volunteers.